But these new imperatives of going public evaded focus in times of high hopes in the capability of management controls to objectify public sector governance. But they come with potential side-effects. An illustration of the kind of side-effects that are to be expected and of how to investigate them empirically is provided by Andres Friedrichsmeier and Frank Marcinkowski in their Policy & Politics article: The mediatisation of university governance: a theoretical and empirical exploration of some side effects. Using the example of higher education governance in Germany, their contribution sketches news media’s new role in a graphic theoretical model. Higher education politics is a field of public governance characterized by pronounced independence from state control and an output that is not valued in Euros or US-Dollars. Although previous studies have identified a particular interest in news media coverage by decision makers in this field it has not yet been investigated whether there are observable side-effects, and specifically what kind of side-effects are to be expected. According to Friedrichsmeier and Marcinkowski’s theoretical model, mediatisation has the effect that an organisation’s relations to different types of actors intersect. It is more or less the same news media that is used by decision makers for a number of aims. First, universities use the news media for outside lobbying of the government. Second, public affairs management addresses external stakeholders. Third, the media are an arena in which a university competes for visibility with a view to competitors, not least in order to motivate its own staff. Deriving from this model, the authors identify a theoretical risk of combining incompatible goals in higher education governance, which is then investigated empirically. The empirical data used is exclusively based on the German Higher Education system, but the basic conditions of the presented case studies also apply to other Central European countries. As a first case study, Friedrichsmeier and Marcinkowski analyse reputational risks attached to a university’s teaching and research, and relate it to a well-reported affinity of blame avoidance behaviour in teaching quality management. In this case, the theoretical model gives grounds to explain how media attention accidentally reinforces the mismatch between research and teaching. 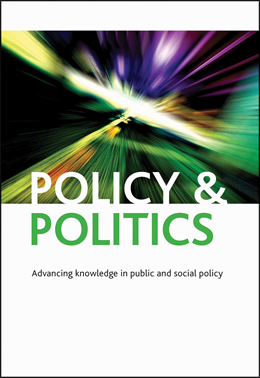 In a second case study, the authors turn to how mediatised governance may lead into overstretching the information value of rankings. Standardised survey data presented provides a clear indication of the side effects, though, as is typical of any investigation of side-effects, this evidence is mostly indirect. So far, no empirical yardstick to quantify the actual significance of the side-effects is available. There was even a lack of examples of what kind of side-effects to look for. 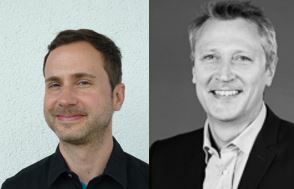 Friedrichsmeier and Marcinkowski’s theoretical and empirical contribution helps to initiate a subject overdue for discussion.